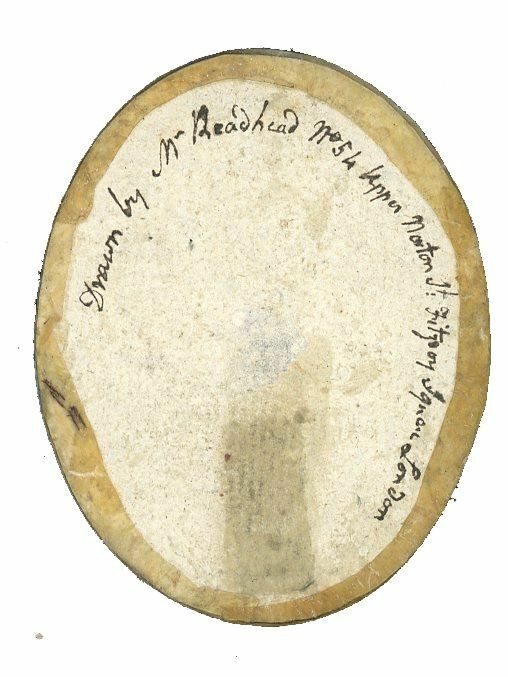 Little is known about the silhouette artist H. Readhead who was working during the 1790s. There are few recorded examples of his work and so this hitherto unknown profile by him has prompted this brief piece. The profile is reverse painted on convex glass in an accomplished and detailed style. 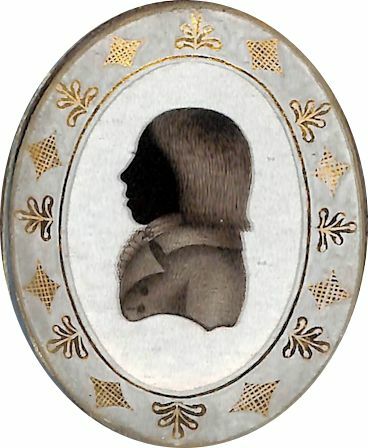 The boy’s face is painted in solid black, his hair and attire in transparency with individual brush strokes visible. The bracketed bust-line is consistent with other examples of his work. 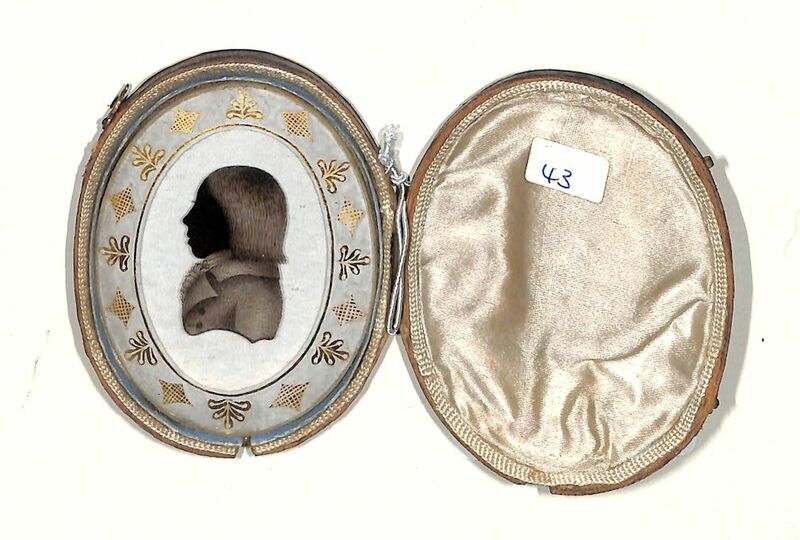 His silhouettes are typically backed with card and presented within a verre églomisé surround which is in this instance finely painted in gold. Readhead’s work could easily be overlooked when it not signed or inscribed with his studio address, 54 Upper Norton St, Fitzroy Square, London. Norton Street was popular with painters and sculptors — Richard Wilson, the landscape painter and Sir David Wilkie, the Scottish painter both has studios there. The street was originally part of the Portland Estate but in the late Victorian era it was renamed Bolsover Street. Nowadays it is lined with offices and the site of no. 54 is occupied by a hospital.